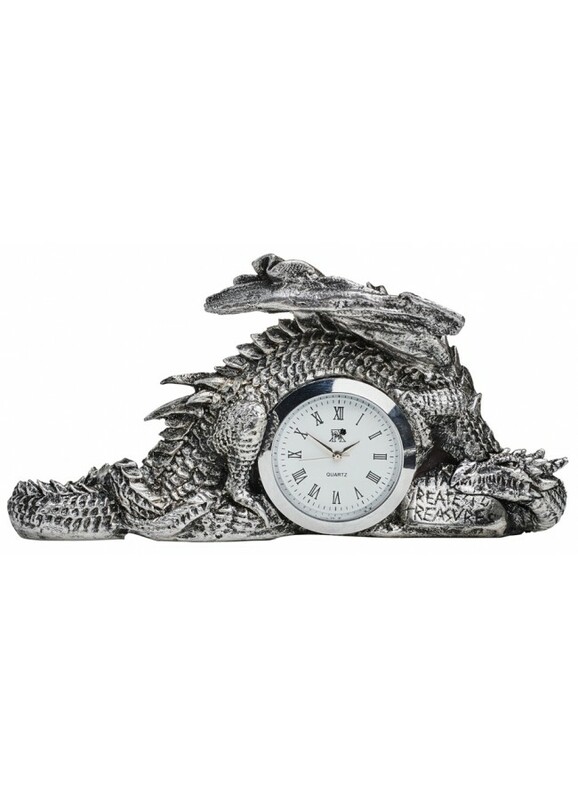 The spectacular time dragon, sleeps his timeless guard in this finely detailed clock that looks awesome on desk or mantle. 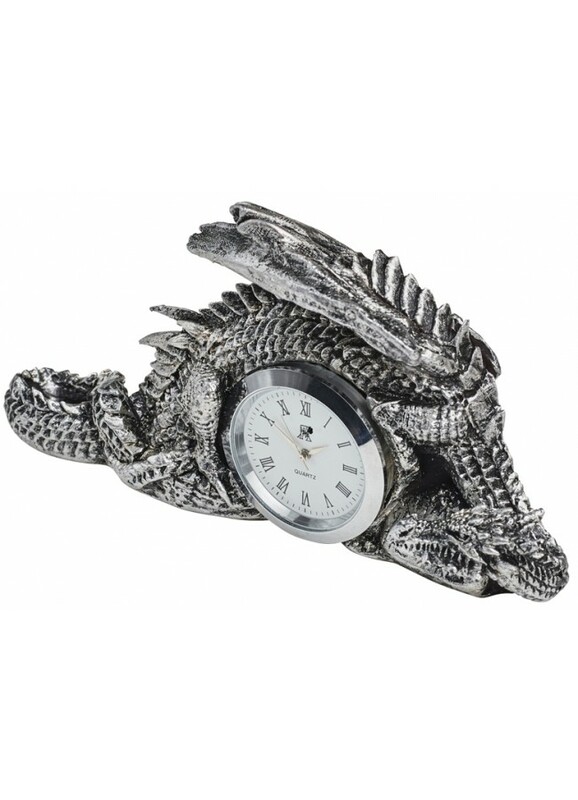 A finely detailed resin dragon curls over the quartz movement clock and rest upon an engraved stone that reads 'time, greatest of treasures'. The clock measures 5.04 x 2.76 x 1.77 inches with a battery powered quartz clock. 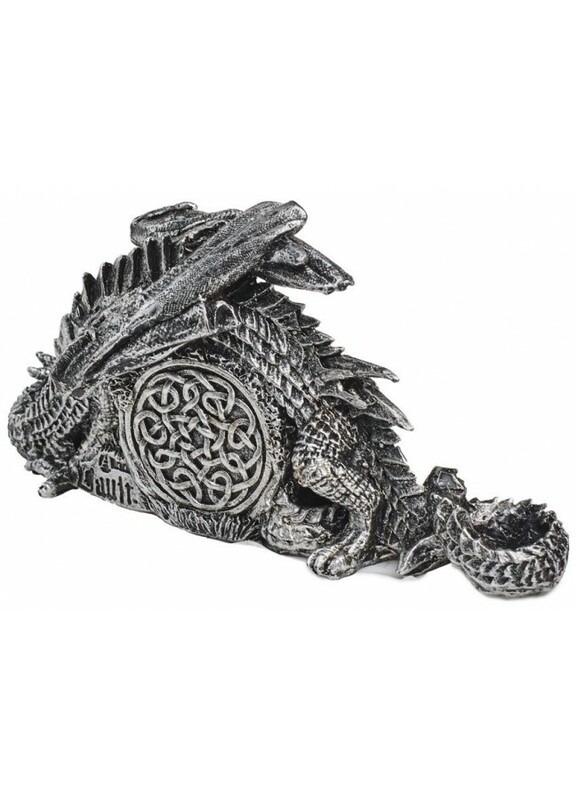 Item Number: AG-V46 | Approximate Size (Inches): 5.04 wide x 1.77 deep x 2.76 high | Approximate Shipping Weight: 3.00 lbs.